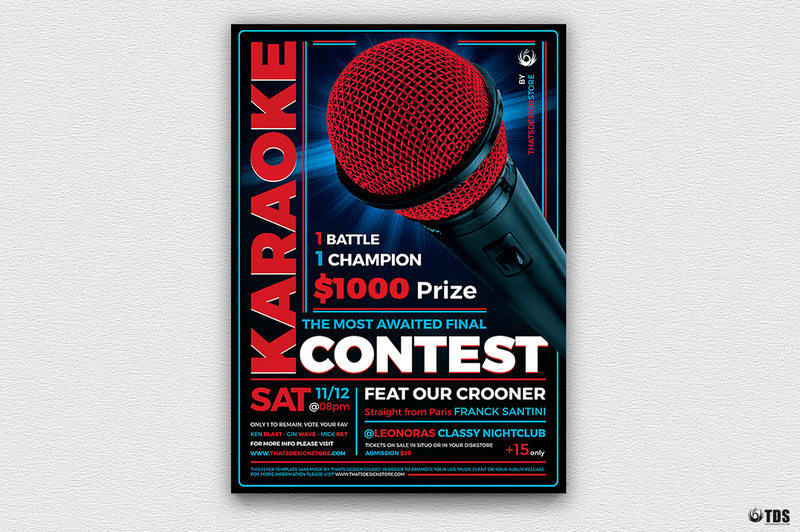 Check out this Karaoke Flyer Template V4 designed to promote your karaoke party in town. 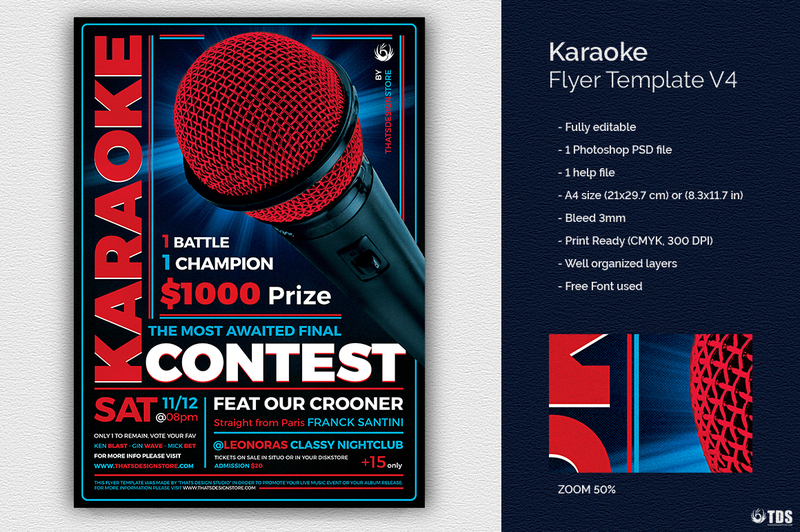 Customize your Photoshop Karaoke psd flyer template easily. Text: All the text is editable by simply double-clicking on the text layers in Photoshop, and just typing in your desired information.